It’s easy to spend the majority of your day caring for others, especially if you have little kids who can’t care for themselves. You get up and spend your entire day getting your kids ready for school, going to work and doing work for others, and then running your kids to activities, only to return home, cook dinner for the family, help with homework or change more diapers, and then finally lay down in bed, exhausted for the day. And at some point was there any activity you did just for yourself? Learning to care for yourself can be difficult. However, you need to care for yourself for your overall physical, spiritual, and mental well being. Taking care of others all day every day can lead to stress, which can build up in the body and cause inflammation, which leads to many illnesses. And in the long run, eventually you will get burnt out and won’t be there when your family needs you. Bungalow Retreat is an elite relaxation club in Florida that specializes in offering you an oasis amidst your desert — a place for you to recharge your batteries, so you can continue to be the wonderful asset you are to the world. Visit us online today! Start your day with “me” time. If you’re religious, read the Bible or meditate. Do some gentle yoga to get in tune with your body for 10 minutes. Stretch. Read a chapter in your bedside book before you get out of bed. Before you immediately start your routine, invest in yourself. Simply set your alarm clock for 10 minutes earlier. Schedule your time. Actually write on your calendar your self-care agenda. For instance, write down, “coffee with a friend,” “walk the dog,” or “wake up with coffee and a book.” If you schedule it, you’ll do it. Exercise. Exercise not only has physical benefits, but it has emotional benefits as well. It clears your brain of all the races it runs in a day, and you’ll be better able to focus afterwards. Sleep enough. Don’t cut your sleep because you have to finish a project for work. Sleep is the time when your body repairs itself and your brain processes the day’s activities. Besides, not getting enough sleep only makes you groggy the next day, which no one wants to deal with. Write. Writing gets your thoughts on paper and helps you to organize your thoughts. It calms the mind and helps you remember things as well. Make time for friends and family. Stay connected with others. Coffee and social time where you talk about nothing in particular is great down time, great bonding time, and great for your soul. Find your passion. Why do you work, be it a regular nine to five job, your own job, or work as a stay-at-home mom? You work so you have the money to do what you want to do. So what do you want to do? If all you do is work and take care of others, you’ll look back and regret it. Paint, write, play, sail, ski, or jump rope. Find your passion and spend time doing it. Get outdoors. Being in nature rejuvenates our spirit and our soul. Watching the birds and the squirrels, the bald eagles and the deer makes you realize how simple life can be and still be happy, healthy, and strong. You’ll feel more alive and energized. Buy something for yourself. 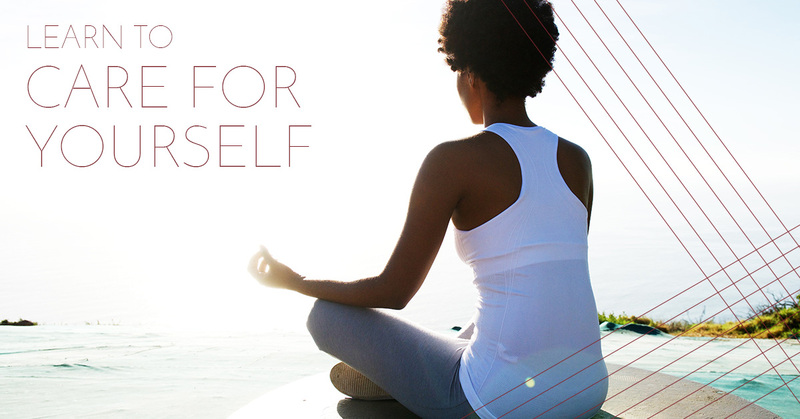 When was the last time you treated yourself? Buy some new clothes or indulge in a spa day. You’ll feel amazing afterwards. Indulge in a massage. Massage therapy offers amazing benefits, from decreased stress levels to better mobility and sleep. Bungalow Retreat near Lake Mary in Florida opened its doors as an elite relaxation club to help you take care of yourself. Our membership affords you chair massages whenever you need a break from the world in a luxurious environment free from every day distractions. We offer full-body massages as well as salt therapy sessions. Our mission is to help you destress from the hubbub of your day by providing a mini-vacation retreat nearby. If you are interested in joining, contact the Bungalow Retreat today!